David Hertz Residence, Los Angeles, Maynard Parker photo, Job No. 0771-005, circa 1944. 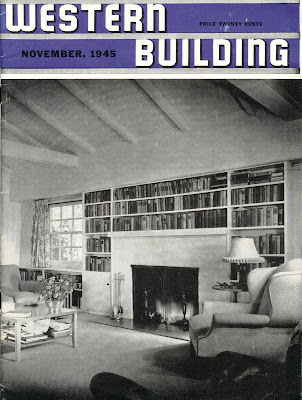 A nice item I found for my collection recently was this November, 1945 issue of Western Building which includes a cover story on Cliff May's David Hertz Residence in Los Angeles titled "Windows are What You Make of Them: Los Angeles Builder Cliff May Uses Them Cleverly." The cover photo is a cropped version of photo 0771-005 which can be found through a database search on-line at the Huntington Library's Maynard Parker Archive site http://www.huntington.org/huntingtonlibrary.aspx?id=3970. The article also includes photo nos. 0771-003, 004, 006 and 007 viewable at the site. The Database further tells us that Parker also photographed the rendering of this project under Job No. 0749-002, the image of which is also scanned and available to view on-line. The beauty of the Parker Database for researchers is that it also includes bibliographic information where available. The bibliographic citations for this project, no. 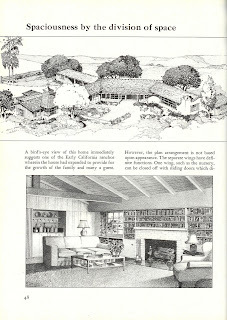 0771 references that the house was featured on the September, 1944 cover of Better Homes & Gardens in a Martha Darbyshire article "Rambling Ranch House" and the cover of the November 11, 1945 issue of the L.A. Times Home Magazine. Viewing that cover at Proquest reveals a different view of the fireplace and built-in bookshelves with the caption "Bookshelves, arching living-room fireplace in Pacific Palisades home of David Hertz with bright warm color, make spot an invitation to linger." That particular image is not viewable on-line and was more than likely one of the 11 images the Database deemed "deteriorating and unavailable for paging." 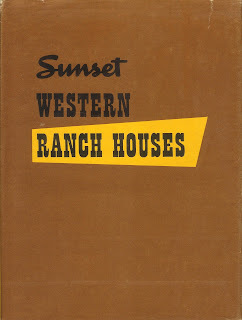 I dug a little further in my own collection and found renderings of the Hertz House in "Sunset Western Ranch Houses" by the editorial staff of Sunset Magazine in collaboration with Cliff May (see below). Note the close similarities of the living room fireplace between the cover image above and the rendering below. 1946, Lane Publishing Co., San Francisco (scan from my collection). This project is but one of at least 77 that May commissioned Parker to photograph. Their relationship was mutually beneficial and is rich with potential for scholarly research. The Hertz Residence is a fine example of how one project can "get legs" and create a stream of income for the photographer and publicity for the architect. Parker and May, as well as Julius Shulman and Richard Neutra, were masters at that game as I will illustrate in subsequent posts. 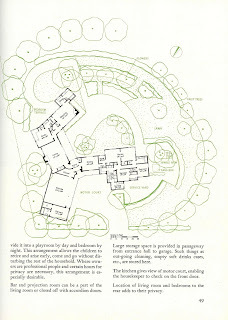 Maynard Parker's career closely paralleled that of Julius Shulman on whom I have done much research. Both were featured on hundreds of covers of regional and national publications and both of their archives have found wonderful homes at the Huntington Library and Getty Research Institute. I highly recommend a browse of both to anyone interested in architectural photography and the history of the Southern California built environment. Links to both are in my links of interest on the right.